06 Dec 2018 --- Total Corbion – a collaborative venture between Total and Corbion – has launched a new 75,000 tons per year PLA (polylactic acid) bioplastics manufacturing plant based in Rayong, Thailand. The facility produces Luminy PLA resins, a biobased and biodegradable bioplastic that could play in to a circular economy. PLA products can be chemically or mechanically recycled or composted and used as fertilizer. 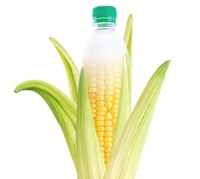 According to the company, this additional plant will increase the global production of PLA bioplastics by almost 50 percent, to 240,000 tons per year. PLA is a fast-growing polymer market with an estimated annual growth rate of 10 to 15 percent. From standard PLA to high heat PLA and PDLA (poly d-lactic acid), the Thai based plant produces a wide range of Luminy resins from renewable, non-GMO, locally sourced sugarcane. The products will meet customer’s needs in a wide range of markets, notably packaging, consumer goods, 3D printing, fibers and automotive. The products are also specifically optimized for extrusion, thermoforming, injection molding and fiber spinning processes, the company states. Total Corbion’s lactide plant, which manufactures a monomer necessary for PLA production and is located on the same site, will meet the rise in PLA production by providing 100,000 tons of lactide per year. Moreover, the PLA pilot plant, also located on the site, that has been running since late 2017 will serve as a product development base. “We faced the ‘normal’ challenges associated with the construction of a 75ktpa chemical plant. We were able to overcome the challenges and start up the factory on time, within budget and without any lost time incidents,” de Bie adds. “The start-up of this state-of-the-art plant establishes Total Corbion PLA as a world-scale PLA bioplastic producer, ideally located to serve growing markets from Asia Pacific to Europe and the Americas,” says Stephane Dion, CEO of the company. “The subsequent increase in global PLA capacity will enable manufacturers and brand owners to move into the circular economy and produce biobased products with lower carbon footprints and multiple end of life options,” adds Dion. “This achievement is fully in line with our strategy, to expand in petrochemicals and, at the same time, innovate in low-carbon solutions. Bioplastics are a great complement to our more traditional petrochemicals products to meet the rising demand for polymers while contributing towards reducing end-of-life concerns,” says Bernard Pinatel, President of Refining & Chemicals at Total.